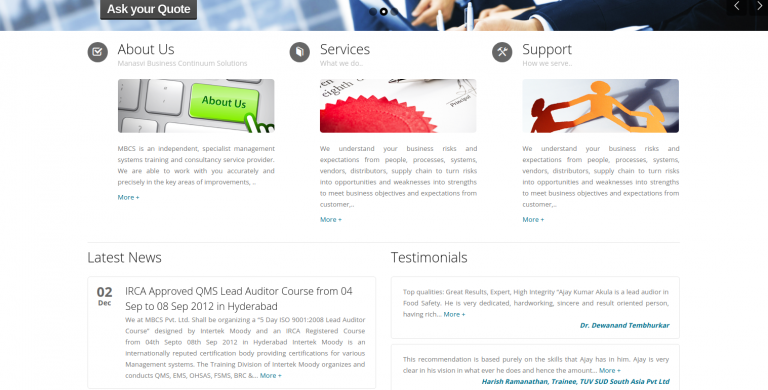 is an independent, specialist management systems training and consultancy service provider. We are able to work with you accurately and precisely in the key areas of improvements, ..
MBCS is an independent, specialist management systems training and consultancy service provider. We are able to work with you accurately and precisely in the key areas of improvements, ..